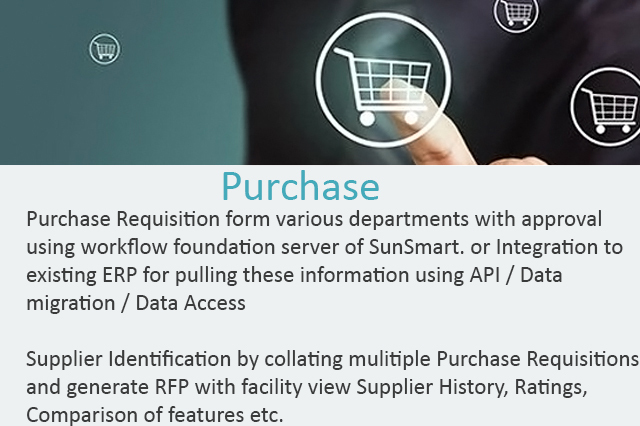 SunSmart helps our Clients with nTirePMS – Cloud-Based / On Demand / On Premises Intelligent Procurement Management Solution with inbuilt Supply Chain Management (SCM) that addresses these manual works and brings efficiency, speedy response, reduce operational cost, and above all a structure to the entire Procurement Process. nTirePMS can be integrated with any of the existing ERP systems and can work with / without such integrations. ERP Systems are helping the customers in effectively managing their Operations, Purchase, Inventory, Financial Accounting, Sales and other key functions with seamless integration. However, there are a number of critical activities performed outside ERP systems which are time consuming and the results of these activities are key to organizational success and growth. Further, the majority of the ERP systems that are implemented a decade ago (SAP, Oracle, etc.) is still Client Server in nature and are restricted to the internal usage due to Higher Licensing Cost, Security reasons, etc. 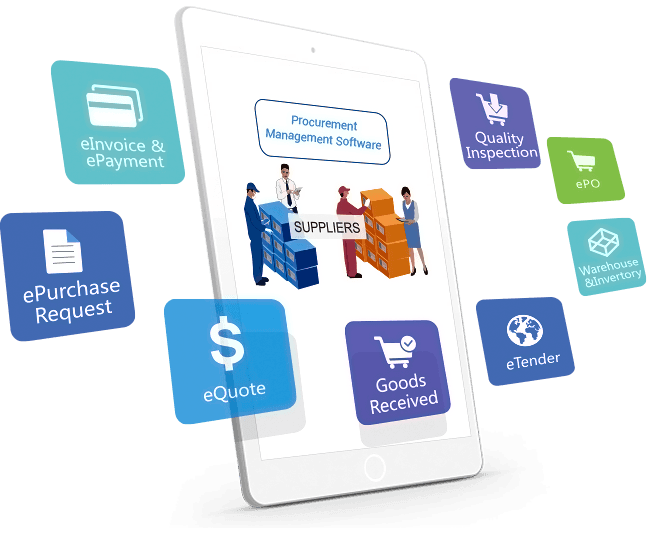 Most of the ERP applications are Data Entry Based systems specific to SCM, Procurement and Supplier Master Data Management results into inaccurate data, lengthy process and general inefficiency of the ecosystem. 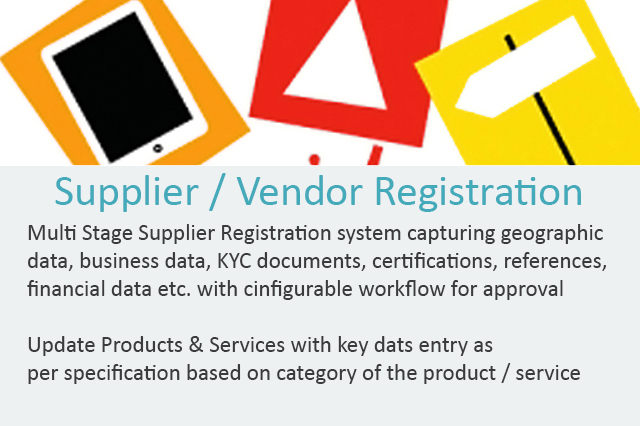 Starting with a Supplier (vendor) Registration Portal wherein suppliers directly register themselves with a number of structured data towards Supplier Master Data Management (SMDM). Using the enterprise Workflow Foundation Workflow Foundation (EWF) of SunSmart, suppliers are approved. This builds the list of Registered Suppliers and their Products & Services as a searchable MDM which is accurate and up to date. Suppliers can update the details of their products | services as a feature list. 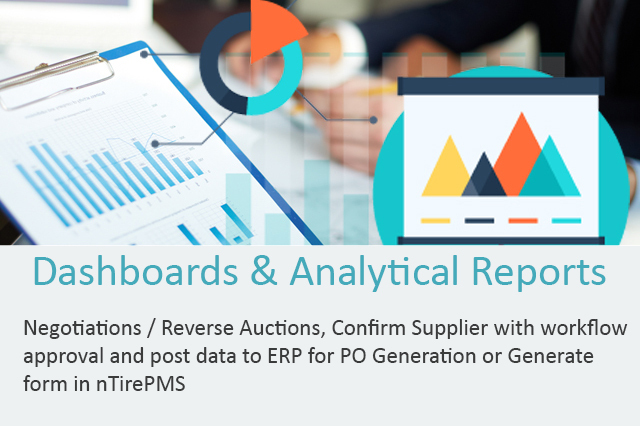 Purchase Requisitions (PRS) is made at the existing ERP system and post-approval, the data seamlessly flow into nTirePMS for Supplier identification and Request for Quotation (RFQ) initiation. 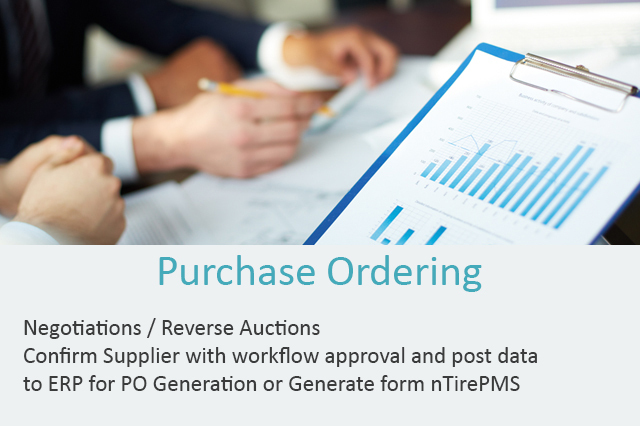 nTirePMS automatically reconciles the Suppliers who can provide the service/product with approximate valid prices and delivery timelines. Searching for products and services will be like a search on Amazon | eBay with comparison features | ratings | internal user comments, etc. 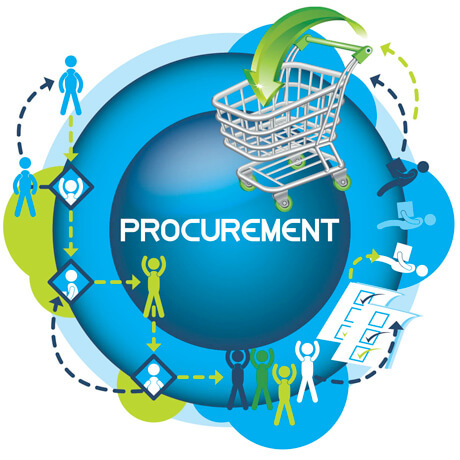 This helps the procurement team in identifying the right supplier. Based on the need, you can choose the suppliers and trigger RFP for their quotations. 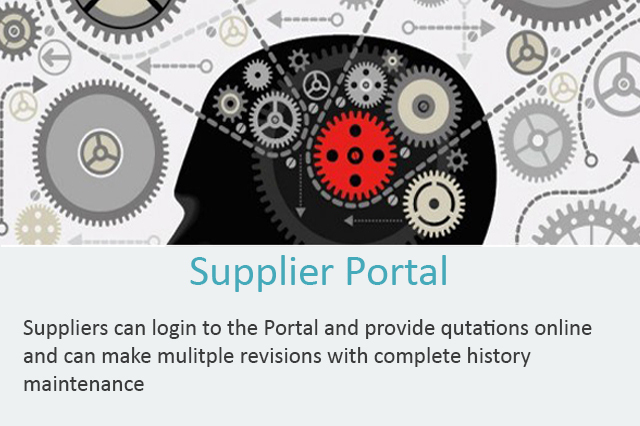 Suppliers will log in to the portal and submit their quotations online. Auctions & Reverse Auctions are enabled in the system (optional) for any online price negotiation. Suppliers can revise their quote any time till the RFQ Period and the system maintains version control for audit purposes. Supplier Evaluation, Comparison and Shortlisting are done in nTirePMS Portal and shortlisted data flows back to the ERP System for the release of PO Contract. Suppliers can log in to the portal and confirm acceptance of the PO/Contract and updates Delivery Schedules, Shipment Details. 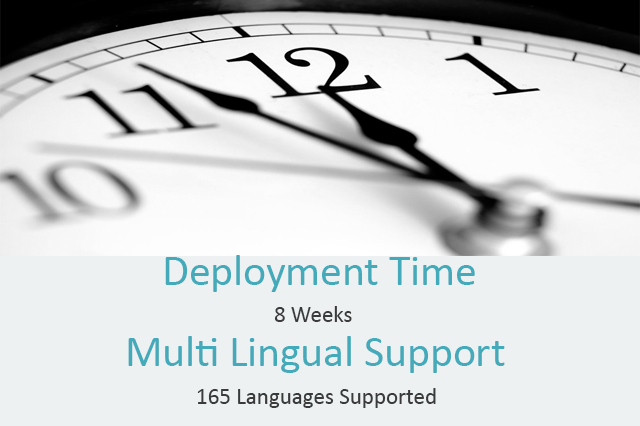 If required, they can update any other documents like Test Cases, Test Results, and Certifications, etc. Barcode/QR code/RFID Labels can be uploaded so that when the goods received at the gate, with a scan, details are obtained and reconciled in seconds. Data like Serial Number/Batch Number, Expiry Date, etc. 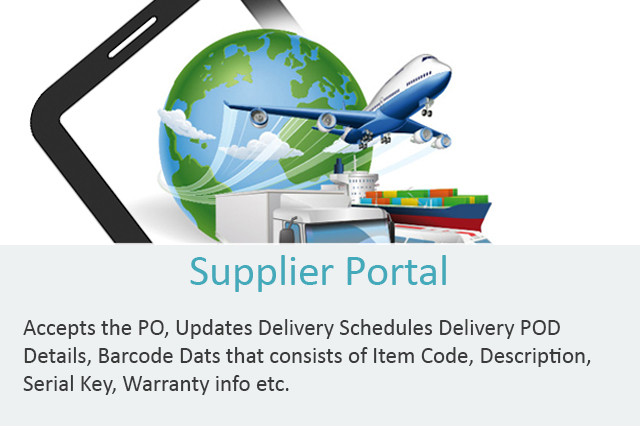 of the goods can be uploaded by the Supplier part of barcode upload and are just verified that brings in data integrity, authenticity in addition to the drastic reduction of time to process. Suppliers can upload their digital invoices online. System reconciles the accuracy & eligibility of the invoices and using Enterprise Workflow Foundation (EWF) of SunSmart AP Processing (Account Payable) is done at the Portal. 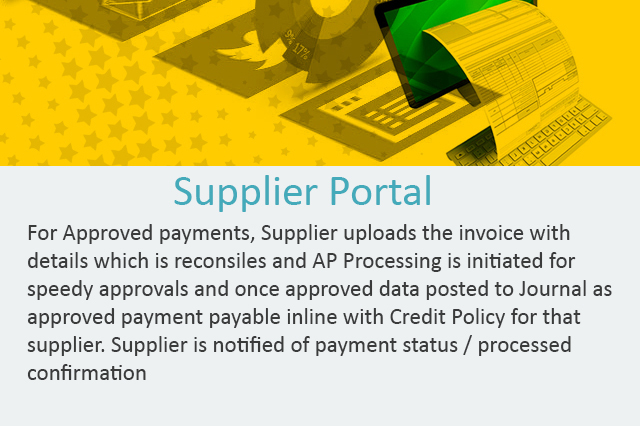 Once Payment is approved, necessary data will be posted at Journals of Finance of the ERP for payment release as per credit policy for that supplier. Post payment release, payment details are updated back to nTirePMS wherein Suppliers can log in and track the status. This completely eliminates frequent follow-up by suppliers on their payments and saves the time of the Corporate in concentrating core business. 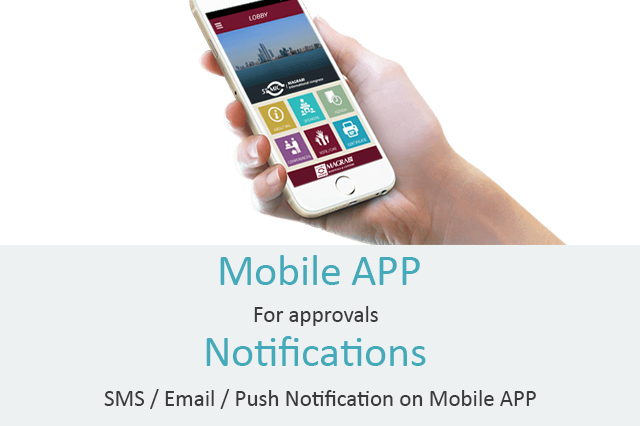 Email | SMS notifications ensure automatic updates escalations | alerts on your mobile for information/action. nTirePMS is a well-framed solution that can optimize your operations spread across geographies into a single portal with unprecedented flexibility and ease in handling, monitoring & tracking entire SCM & Procurement processes. nTirePMS helps eliminating manual work of the company and automate processes with complete transparency and procurement audit. nTirePMS saves each purchase cost with its advanced comparison tool and cut down man power cost on : Stock update, update item details like serial number, expiry, etc. 'Quotation Entry, paper works, tracking of delivery, Maintenance of assets, Vendor payment entries, queries and payment confirmations etc'.